Fair go for parking – Why punish the Parishioners? OTHMAN: ISF will remain responsible for implementing the law, maintaining public order and public safety. 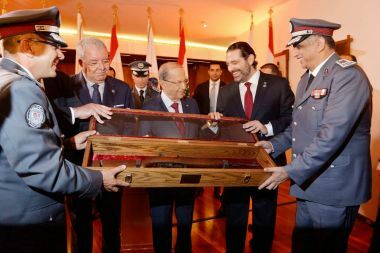 Lebanon - President of the Republic Michel Aoun congratulated the Internal Security Forces on their 157th foundation anniversary, saying, "I congratulate all those working in the security forces, especially those who are fighting crime." 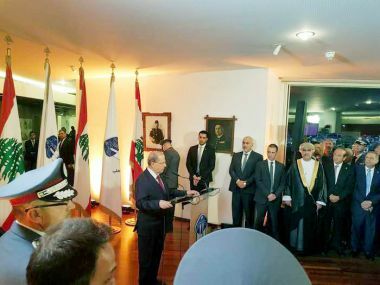 President Aoun, who patronized the inauguration of the historic forum of the Internal Security Forces on Saturday evening, said that the State "fully supported the Lebanese army and was able to cleanse the eastern mountain range of terrorists," adding that cooperation and coordination continues between the army and the security forces to maintain stability and security in Lebanon." The President asserted that security and stability were the basis for prosperity. "Security and stability are the basis for prosperity. 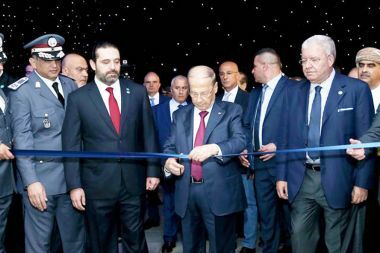 If there is no security and stability, no tourists will come and no factory will be built, so the Lebanese State is always working to establish security and stability in Lebanon," Aoun underscored. He added that the issues of concern to the Lebanese were placed in a psychological and pessimistic context, while the situation is not pessimistic at all. He also hoped that everyone would make an initiative with the media to change the image of pessimism among the Lebanese people. "Security and stability are not enough; we have to provide psychological and moral comfort to the Lebanese. The media is responsible for this to start with, for if pessimism accompanies every step we take, it means that we have lost faith in ourselves," Aoun went on. In turn, the Internal Security Forces Chief Imad Othman said that the Internal Security Forces always seek to strengthen the existing coordination with all the security apparatuses, especially with the Lebanese army. Othman shed light on fighting corruption in the Lebanese State by saying, "In order to build the strong State that we dream of, we have to fight corruption and corrupt people." Finally, he stressed that ISF will remain responsible for implementing the law, maintaining public order and public safety.